I’m not going to lie, one of my favourite parts about photographing weddings, is getting to play around with all the details at the start of the day. Some brides put so much detail and effort into their weddings, and I just think it’s so fun to put it all together into a beautiful image. When I meet up with my brides one month before their wedding, one thing I always tell them is to have their invitation, along with their rings, shoes, jewelry, perfume bottle, family heirlooms and whatever else is important to them, accessible and ready for me to photograph. I normally bring a small bag of ribbons, ring boxes, and a few other small styling options to just add a little extra pretty to the photos. 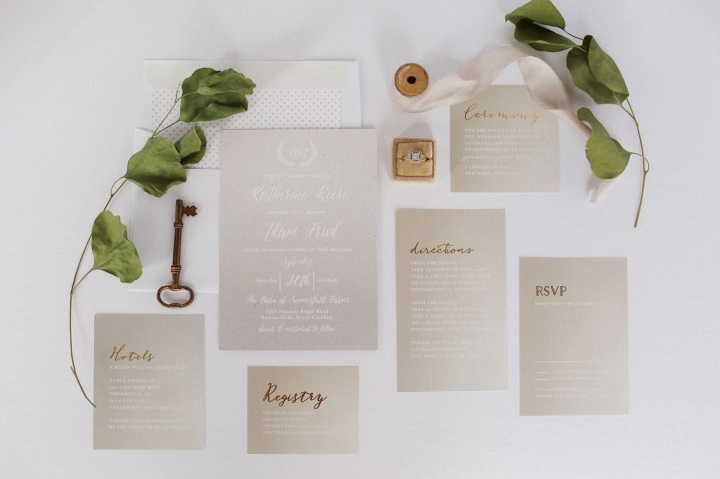 Choosing an invitation for your wedding can be overwhelming. After all, it is your guest’s very first impression of your wedding. Whether it’s simple or elaborate, it should give your guests a little taste of what your wedding will be like. If you’re having a super relaxed backyard wedding, your invitation should tell that story. If you’re having a black tie event, in downtown Toronto, your invitation should have that feel. I had the opportunity to work with Basic Invite on this post, and let me tell you, this is an amazing company to work with! 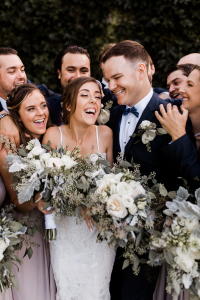 This company is an online design and printing platform that makes cards for almost every major life event – specifically weddings! I was blown away at how many options they had to customize wedding invitations. On every single one of their invitations, you have the options to change any of the colours, fonts, size of wording, background colour and so much more. Not only do they have so many great options, but it’s very simple to figure out. One of my favourite options they have, is the gold foil – which looks amazing in person. They even have the option to customize your envelopes! They have endless options of patterns and colours for envelope liners. 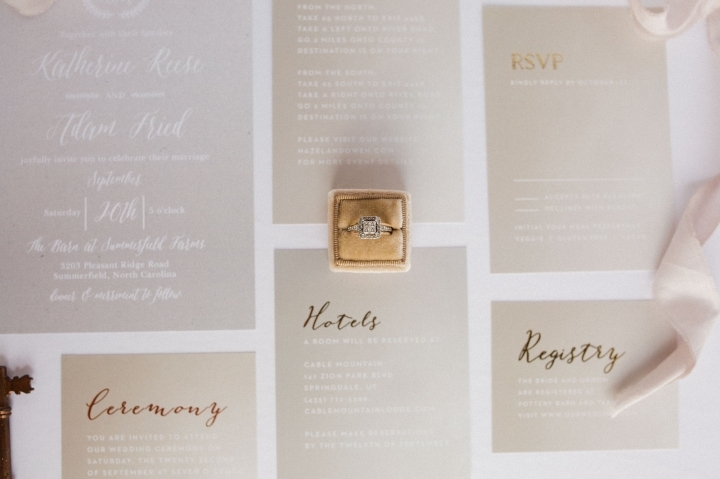 If you’re having a hard time deciding on a suite, basic invite has the option to order samples, which allows you to see the invitation in your hands before deciding if it is the right fit for you. They are very affordable, and arrive very quick in the mail. This post is sponsored by Basic Invite, but I was able to pick out and customize this invitation suite myself. I had so much fun with it! They have over 800 options to choose from, and so many ways to make the already designed invitations your own. You can find everything from save the dates to wedding invitations and enclosure cards, wedding menus, wedding programs, place cards, and even matching thank you cards! Whether you’re having a small intimate destination wedding, or a classic black tie wedding, basic invite has got you covered with their endless options! Side note: Basic Invite offers wedding websites that are completely customizable just like our wedding invitations! These wedding websites are mobile friendly and super easy to use. 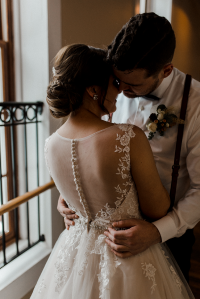 You can instantly upload all of your wedding details along with images and a map with directions which is super convenient for your guests. You can even choose a design to match your wedding invitation suite! How cool is that???! ?